Beyer Carpet Cleaning is happy to announce yet another successful year in the carpet cleaning industry. They have survived the lions, tigers, and bears, oh my! The carpet cleaning industry wasn’t very nice to the new guys at the beginning but they managed to pull out the big W.
As the owner of Beyer Carpet Cleaning, Joshua Beyer, likes to say “if you’re not growing you’re dying” so they have finally taken a step towards the future. 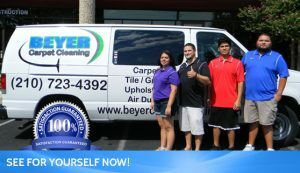 Beyer Carpet Cleaning is growing and has added vehicles to their fleet so they can service more customers. San Antonio is a big city with well over 1 million residents who will need carpet cleaning at some point and not to mention all the business that need service too! Of course when their’s growth a few changes have to be made in order to keep up with the demand. Beyer Carpet Cleaning has raised their prices just slightly in order to pay for all the new things it will take to run more vehicles but don’t worry the increase isn’t much. Changing their whole house unlimited rooms and halls from $139 to $169 is as big of an increase you will see. Not only will that the biggest increase but it will still be on the lower end of the pricing scale compared to their competitors. 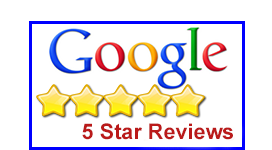 Beyer Carpet Cleaning will always be about lower prices, the best customer service anyone can find, and true and honest hard work no matter how big they grow. So here’s to Beyer Carpet Cleaning on their anniversary! May they have continued success and may they always remember their humble beginnings. When you forget where you started you can lose a piece of who you are and the dream you once had. Thank you too all the loyal customer who just can’t get enough of the goodness Beyer Carpet Cleaning brings to the table…or shall we say carpet!